Year 2014 was a year of self-discovery for me. Blame it on the number of personality tests I took last year, I became aware of my good and not-so-good personality traits. I’ve learned that I am an ISTP and the description is pretty accurate for me. I’ve also learned that my language of love is quality time and acts of service so I now understand why it’s awkward for me to say ‘I love you’ to my friends and loved ones or be mushy and touchy-feely to them. Anyway, this post is not about my personality type. I just want to share how my increased self-awareness has lead me to this post about my recent discovery. One thing I discovered about myself lately is that I’m not good at making friends. I didn’t notice it before because I really thought I’m friendly. It’s easy for me to start a conversation with someone I just met especially when the situation calls for it. I am also comfortable with meeting new groups of people so I’m pretty sure that I am not anti-social. It was only after I read several books and articles about friendship when I realized that what I’ve been actually doing for the longest time is just making aquaintances and not really making friends. It’s easy for me to talk with strangers but it actually takes a long time for me to open up and get close to anyone. But once we get close, I always try to take extra effort to spend time with them. Don’t get me wrong. I do have a lot of true friends and I know who they are. And that’s where my problem comes in because since I love spending time with my friends, I also want to make time for ALL of them. Aside from that, I also have to balance my time for my work and ministry so learning how to prioritize is truly a challenge. As what our local proverb say, ‘pag gusto, may paraan. pag ayaw, maraming dahilan (If there’s a will, there’s a way). 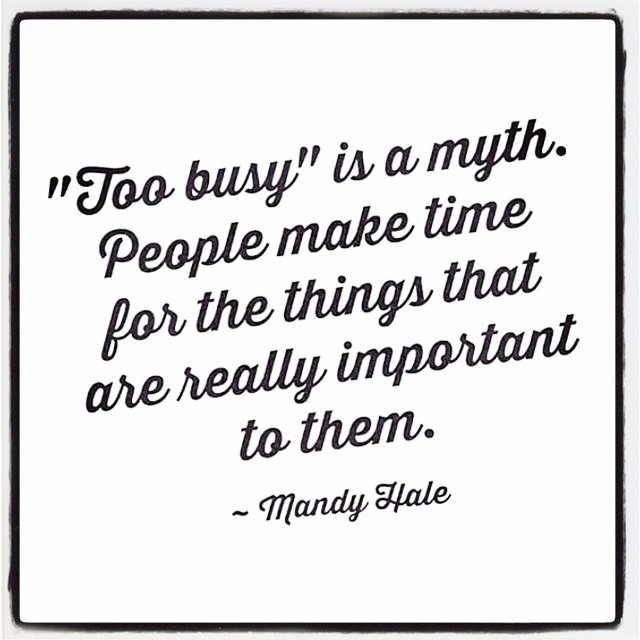 Since I believe in this saying, I always try to make time for people I value the most. However, I also know that I have a very limited time so I’m now praying that God will lead me to the right people I should spend time with and reveal to me the people whom I will and should keep for life.